June 11 was Grammy’s birthday (my mom’s mother). She would have been 103. Mom and I “celebrated” Grammy’s birthday by going for our mammograms together. It’s been 13 years since Mom was treated for breast cancer. Thankfully, she’s been cancer-free since then! She’s also been very good about going annually for her mammograms and follow-up visits. I had my last mammogram about five years ago when I still lived in the Keys. Now that I’m on the “other side” of my colon cancer treatment, my oncologist, Dr. Fekrazad, has given me a plan for follow-up care that includes having a mammogram, a colonoscopy and a CT scan this summer. So, on Friday, I knocked off the easiest one on the list! It seems mammogram technology has changed pretty dramatically since my last one. They’re almost all done digitally now. The technician at Santa Fe Imaging, where Mom and I went, told me they would be comparing these digital images with my previous film images and, more likely than not, they would be able to see much more than the film mammograms did. She cautioned me not to get jumpy if they should call me to come back in after they compare the new images to the old ones. She said if that happens it’s probably just because they’re able to see more “stuff” that they can’t compare to the old films. And, since I now have a history of cancer, they’re going to be extra cautious about anything they see. 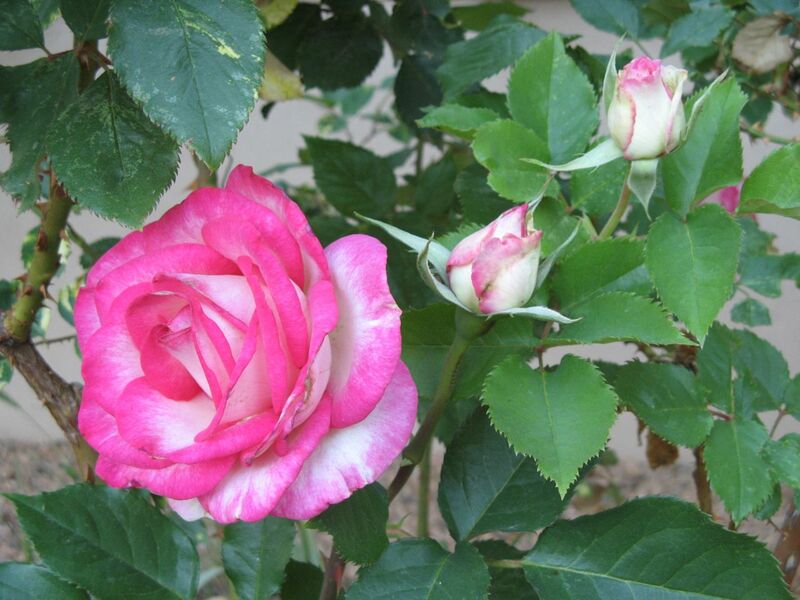 The beautiful pink rosebush in my garden popped out its first blooms of the year just a week ago! So, I’ll be sure to provide an update once Mom and I get our results back. I’m confident we’re both going to get good reports. Since I’ll probably have to start going for annual mammograms like Mom does, don’t you think it would be a nice tradition for us to go for them together on Grammy’s birthday each year? And, it sure isn’t lost on me what a beautiful thing it is that Mom and I are both here, and able to refer to our future in terms of “years.” I’m so truly grateful for this wonderful gift we’ve both been given! You and your mom are so lucky to have each other and I know that Grammy is looking out for you both all of the time. Her spirit is at your sides.